Those Crafty 3D Pin-Back Buttons. This kooky pin-back button caught our attention when combing the aisles at Vancouver’s Terminal Ave Flea Market. That sheer beige nylon fabric, stuffed with a soft filling, stitched to resemble a bum, glued to a 2.25″ pin-back button! Clever, right? The edge text on the rim of the button reads “Crafts by Connie, N. Vancouver, B.C.” A quick Google search generated no results about Connie or her crafts. The original price tag, still on the back of the button, stamped from Whistlers Drugs, Jasper, sold for $1.98 each. 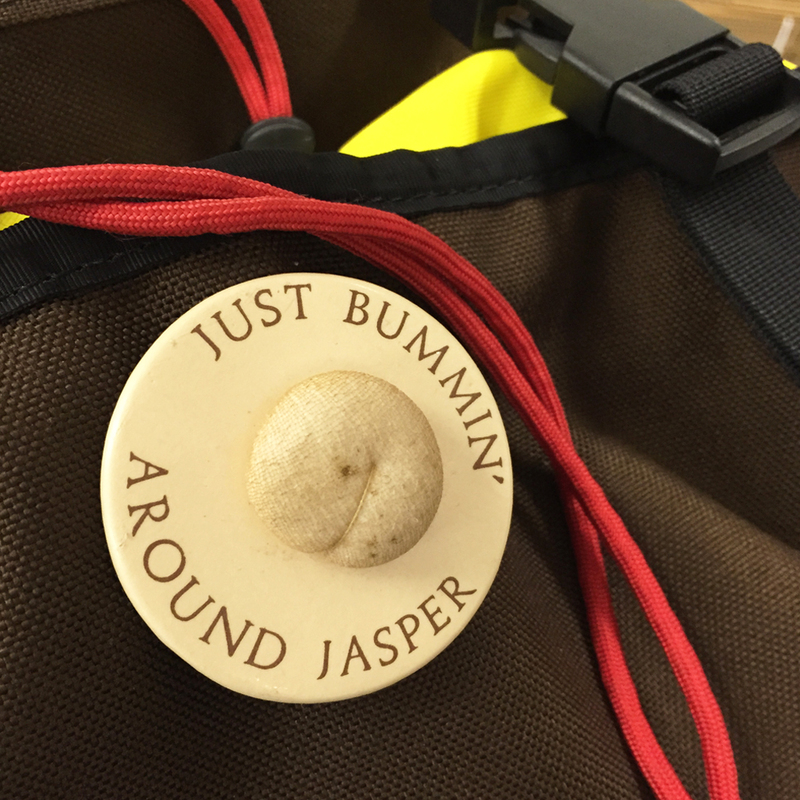 We wonder how many of these buttons are still bummin’ around Jasper, and abroad!